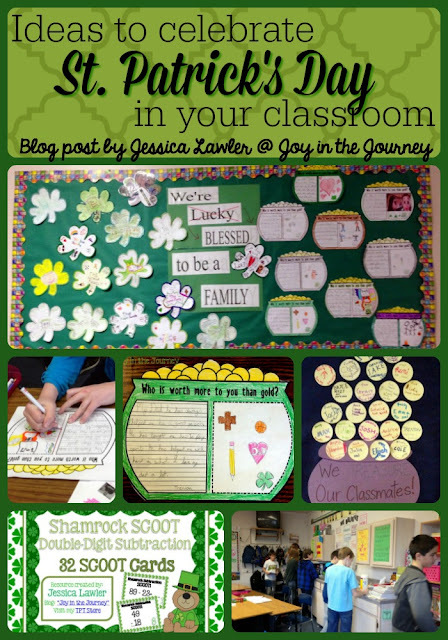 Today I want to share some fun activities that we did last week to celebrate St. Patrick's Day! 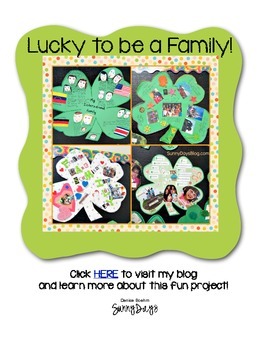 Secondly, we took the project "Lucky to be a Family Shamrocks"
As a class,we discussed how a lot of people talk about luck around St. Patrick's Day. Then we discussed how, as Christians, we believe that God is in control and that nothing happens just because of luck. So we filled out shamrocks about our families and the reasons we're BLESSED to be a part of our family. A celebration of St. Patrick's Day also focuses on treasure. 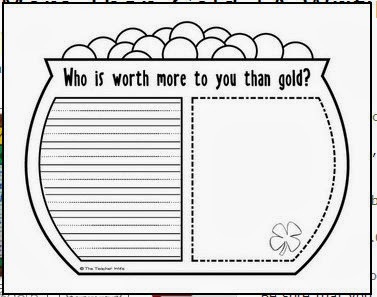 So we put a little spin on the idea and wrote about WHO (rather than what) we treasure. This idea is FREE from Lindsey at The Teacher Wife. 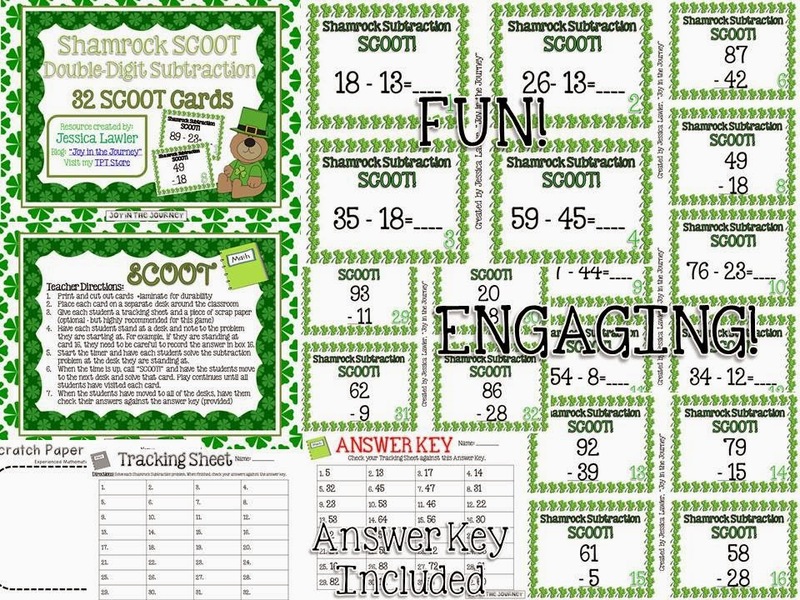 One quick game that we played today was Shamrock SCOOT! You know by now that I (and my kiddos!) love playing SCOOT! Anything that is out of our normal routine excites them - and the opportunity to move around the room while working on math? Super motivating! We also had a competition for who could wear the most green.